Before we are going to study precalculus functions and graphs, we should have a basic understanding of the subject. So, what is a mathematical function? The definition says: “Mathematical function is a relation in which each element of a certain set is linked to one or more elements of another set”. To simplify that, we can say that function is an “entity” whose value is determined by the value of some other element or elements. In this example, for each value of the variable, “x”, we will have different value of f(x): when x is 3, f(x) is 3-3 = 0; for x=10, f(x) = 7 etc. f(x) = 2x + 5, f(x) = 10-0.5x, or f(x) = -5x + 2.5. Note that in all the above examples there is only one variable, x, and it always has the exponent of one. Those are linear functions of one variable, which has a general form of f(x) = ax+b; when “a” and “b” are constants which determine the shape of the graph. Wait, what graph? We have not mentioned graphs yet, haven't we? first (horizontal, or the x-axis) will represent the value of the variable and the second (vertical, or the y- axis) will represent the resultant value of the function (that’s why many times instead of writing “f(x)”, we use “y” as the function representation) The axes, of course, intersect at 0 which is called point of origin, and has the coordinates of x=0, y=0; or (0,0). As we said, all linear functions have a general from of f(x) = ax+b. In graphical form, “a” determines the slope of the line (bigger values produce “stiffer incline”, negative values will result in a line “descending” with the increase of the value of x) and “b” is the point of intersection with the y-axis (x=0). In our example, b = -3, and f(0) was, of course, -3. 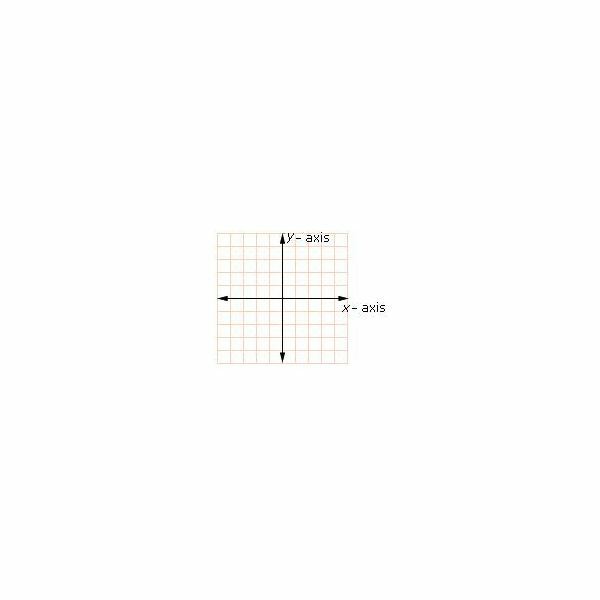 Precalculus functions and graphs have many uses in later algebra and calculus. A simple example is solving a set of equations. 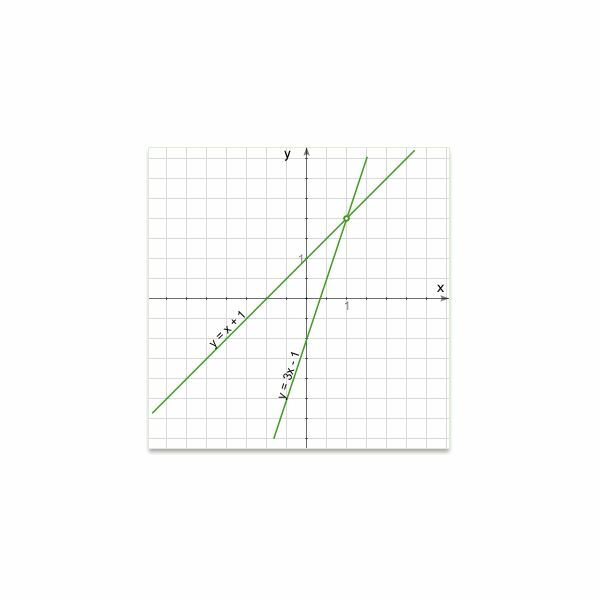 Instead of doing algebraic calculations, you can simply draw the two lines (functions) on a graph. 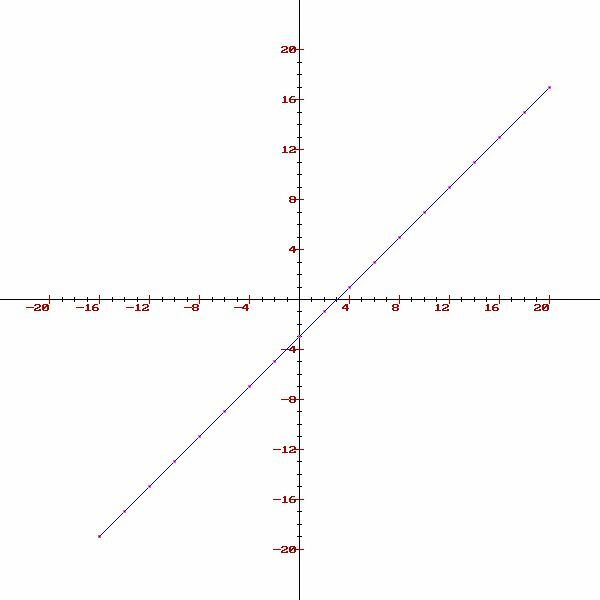 The intersection point (x=1,y=2) is the solution! Don’t believe me? Check for yourselves – and don’t’ forget to try some other functions as well!